Aloe Vera is a plant species of the genus Aloe. It grows wild in tropical climates around the world and is cultivated for agricultural and medicinal uses. Aloe Vera protects the cells against damages caused by toxic substances. It is very good for digestion &Ulcer. It maintains the body temperature, boosts functioning of liver. Aloe Vera gel effectively moisturizes dry skin, making it soft, smooth and supple. It nourishes skin with phyto-nutrients. 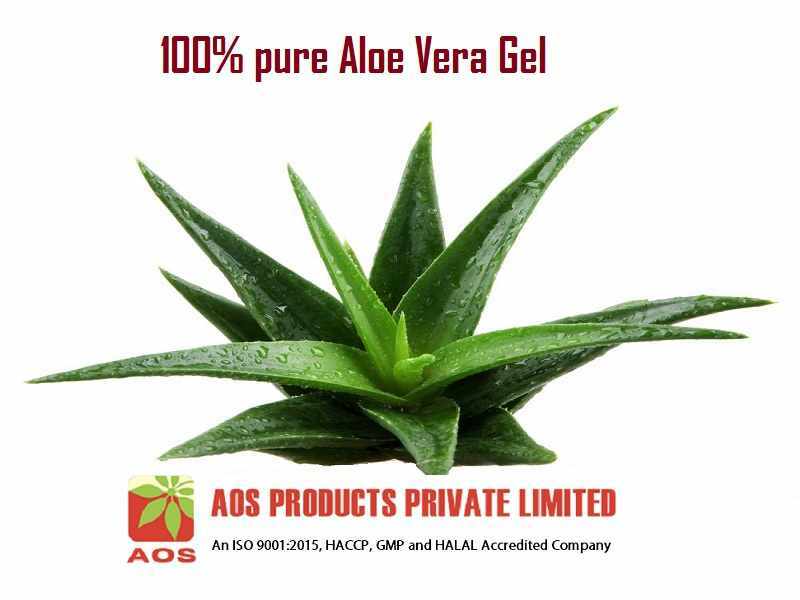 AOS Products Pvt Ltd is a reputed Indian Manufacturer, Supplier and Exporter of Aloe Vera. Basically Aloe Vera is natural herbal products. We are a customer focused Natural Oil Company who always care customer satisfaction. Under this category we manufacture high quality Aloe Vera and offer to worldwide clients at very competitive rate. Aloe Vera gel is extracted by chopping or slicing the thick leaves from aloe Vera plant. Aloe Vera leaf slices secretes Gel. Aloe Vera gel appears viscous, colorless, transparent liquid which is odorless and slightly bitter in taste. 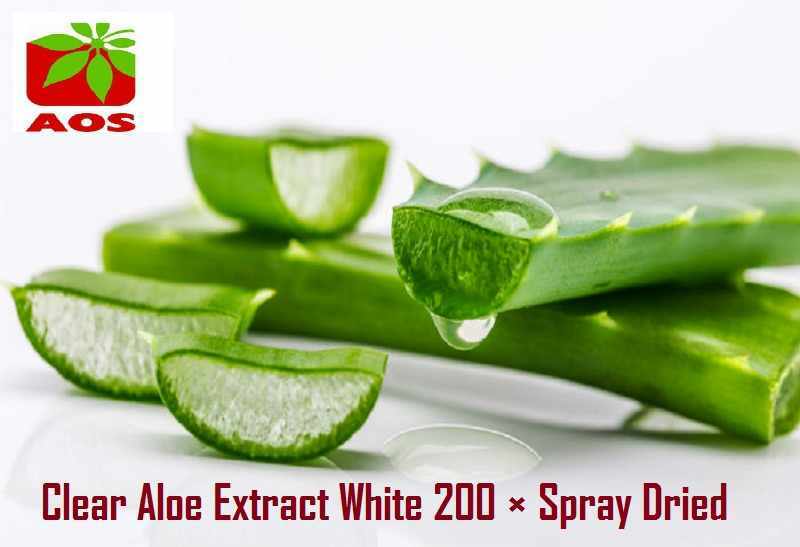 Aloe Vera pure white gel is mucilaginous gel extracted from aloe plant leaves. It is pure white gel which is odorless, slightly bitter in taste and viscous in nature. 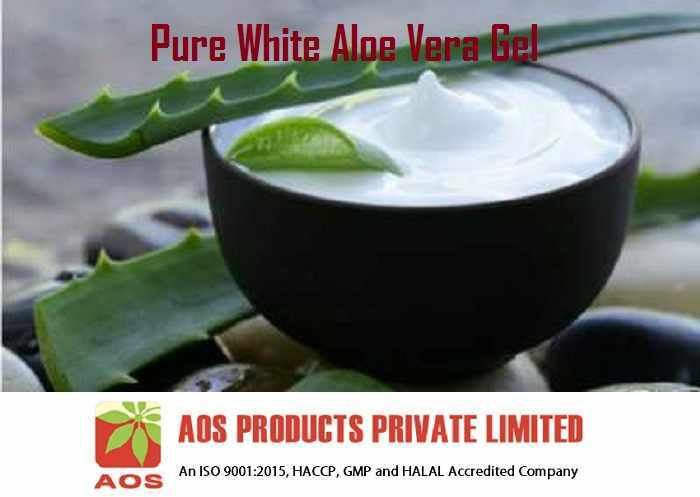 Aloe Vera pure white gel has medicinal, pharmacology and skin care application. 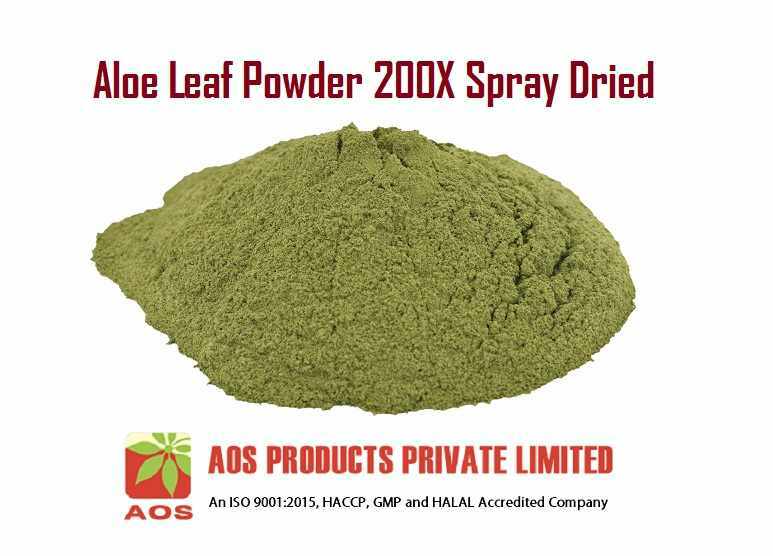 Aloe leaf powdered is extracted from freshly harvested leaves of the Aloe barbadensis, then gel or fillet is carefully removed to minimize the aloin traces, extracted gel is processed – pasteurized and concentrated by utilizing low temperature evaporation to produce liquid concentrate, then hot air is passed to liquid for spray drying. Aloe Butter is extracted from Aloe barbadensis leaf (pure aloe) with Cocusnucifera (coconut oil) fatty acids by cold pressed, refined method. 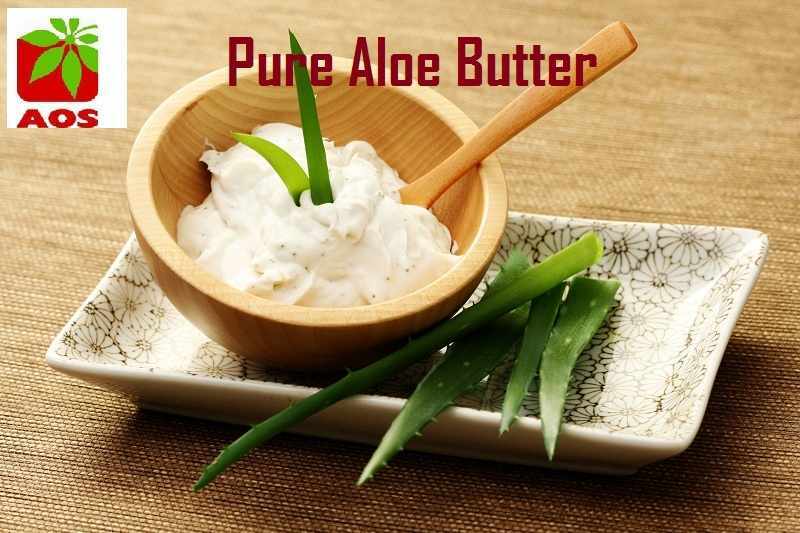 Aloe butter is pure white butter, odorless with soft & smooth texture. Aloe butter is oil miscible.